I can’t quite believe that my 3rd Bake Club has been and gone already. 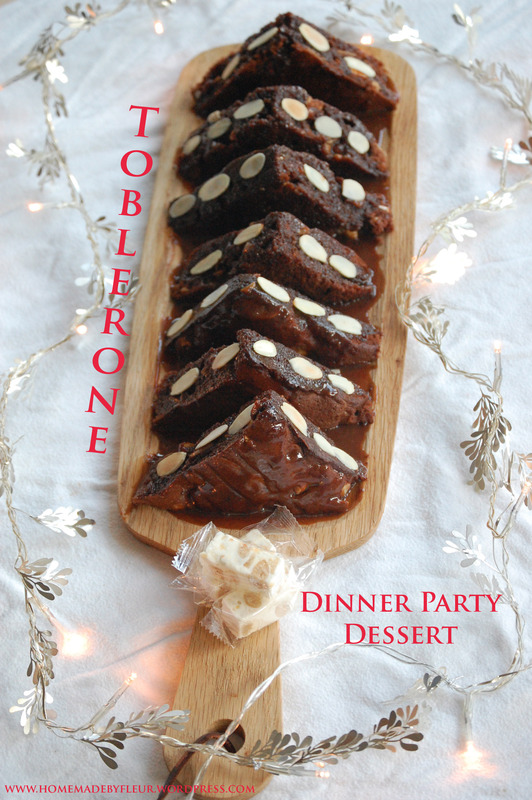 I’ve had such fun organising them and meeting lots of new people who have a passion for baking just like me. We always end up chattering away and losing track of the time. 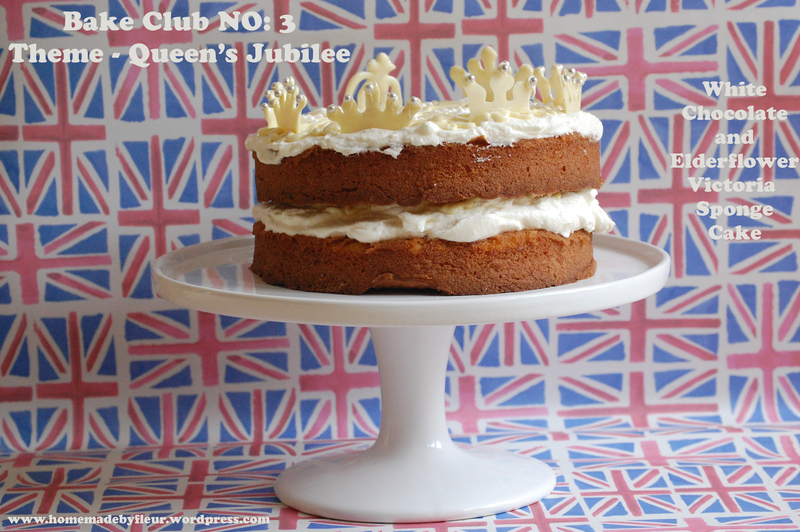 This month the theme was ‘Queen’s Jubilee’, which is rather helpful of course as this links in very nicely with the Jubilee Competition that I am running on my blog at the moment. So I’m hoping that a round up of all the cakes might help to give you a little bit of inspiration to get baking. After all a bank holiday is the perfect time to get into the kitchen with the additional day off. 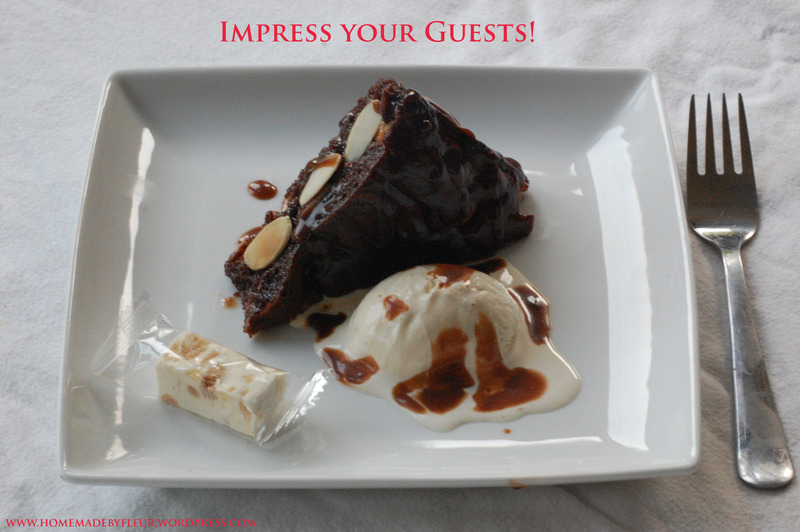 As usual my guests completely exceeded my expectations with their creations. All fabulous and suitably regal. 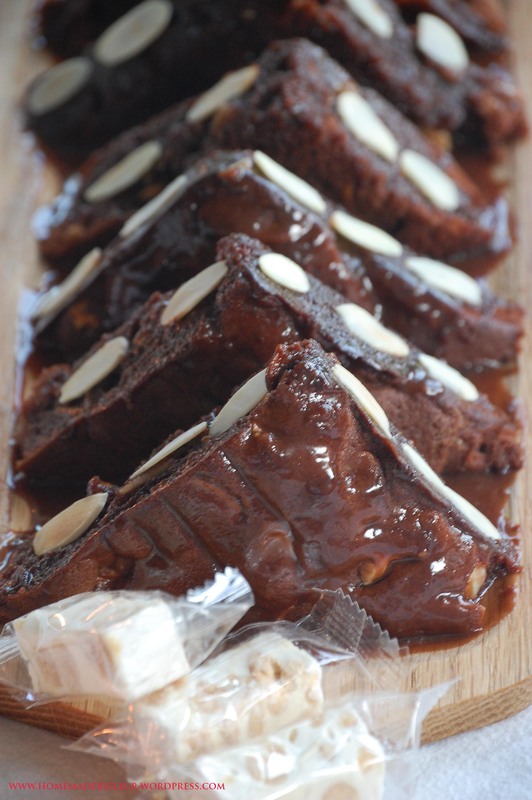 So if you are ready, lets indulge. First up was Christina’s fruit decorated chocolate fudge cake. Christina tells me that she got the recipe from this months Good Housekeeping. She halved the quantities because it said the cake would serve 40!!! As you can see it was still pretty sizable, but a much more manageable. It was chocoholics dream with the rich chocolate sponge and white chocolate buttercream and it tasted amazing. Then came Abi’s orange flavoured crown cake with fresh fruit, white chocolate and raspberry coulis. 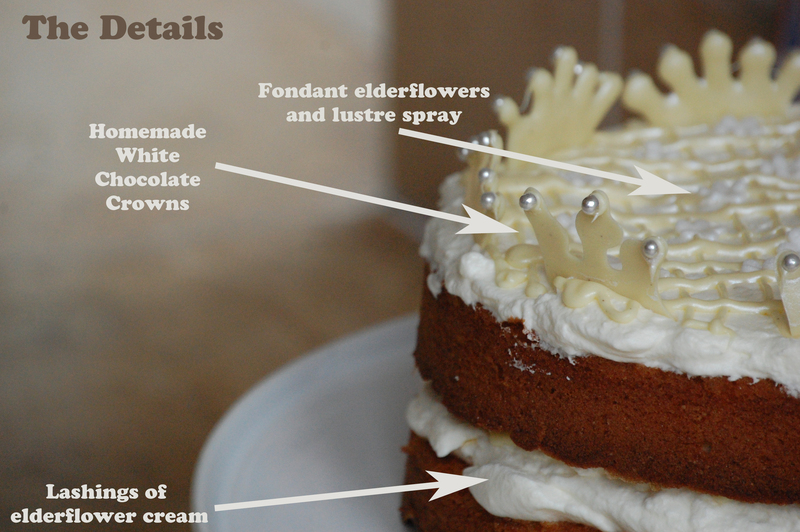 Abi explained that she had combined a number of recipes to make the various parts to this cake. The orange taste was incredible. You could really taste fresh orange with every bite. I love the idea of using sponge fingers around the cake too. 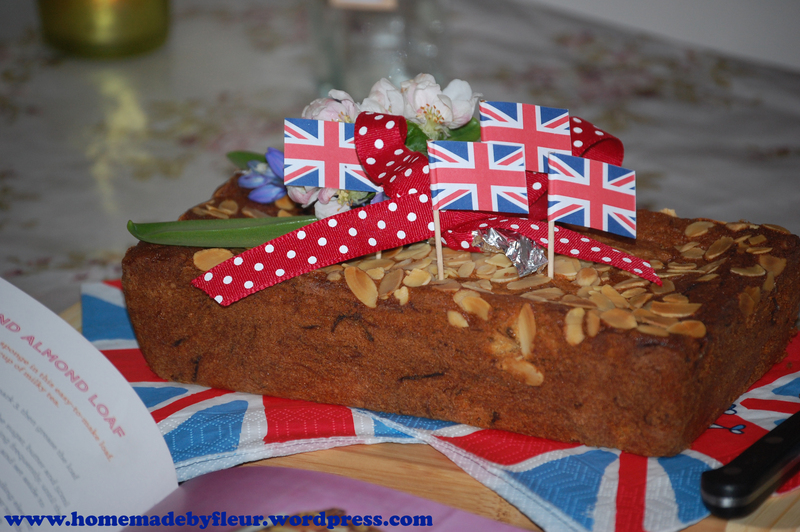 Then Vicky brought a Almond and rhubarb loaf cake made with rhubarb from her own garden. Now you can’t get more British than that! The flavours were gorgeous. I could really taste the almond and cinnamon that had been added. 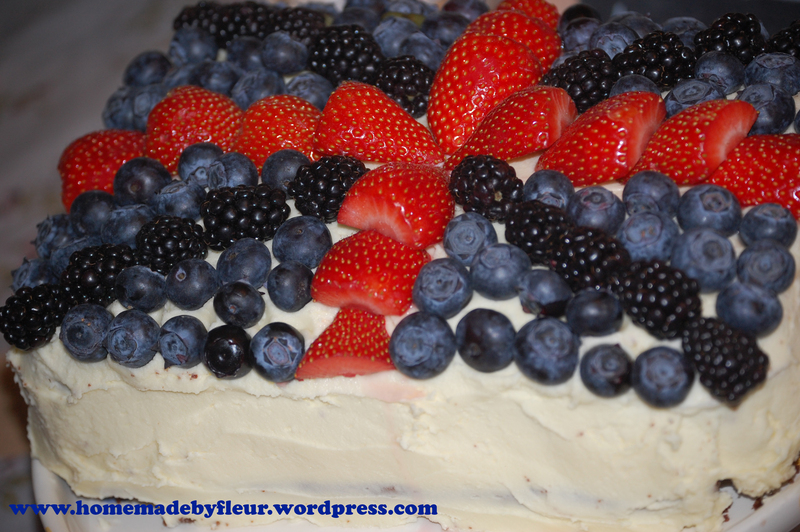 Lastly, there was my white chocolate and elderflower victoria sponge cake. I used a Nigella victoria sponge cake recipe, (which can be found on pg 26 of her cookbook, How to Eat) and added 2 tbsp of elderflower cordial to the cake batter and 3 tbsp of cordial to the fresh cream that I whipped up to fill and top the cake with. I also drizzled melted white chocolate on the cream in the middle of the cake and again in the top. Don’t hold back with the white chocolate, just go for it. The little white chocolate crowns were an idea I got from talented Sew White. You can see a little video on how to make them here. They were great fun to do and I was very pleased with the final cake. As June is the perfect time to hunt for fresh elderflower you could always make your own cordial. I will be doing this for sure. 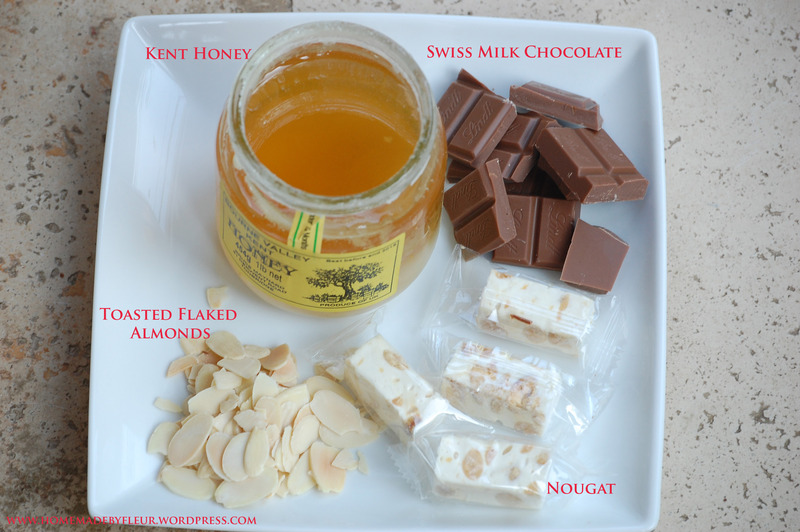 Karen from Lavender and Loveage has a great recipe over on her blog. I’m feeling more experienced now having run 3 Bake Clubs and it’s been great getting a feel for what people want and how they run. I’ve had a few ideas which I hope will make my Bake Club even better than before. Let me know what you think. 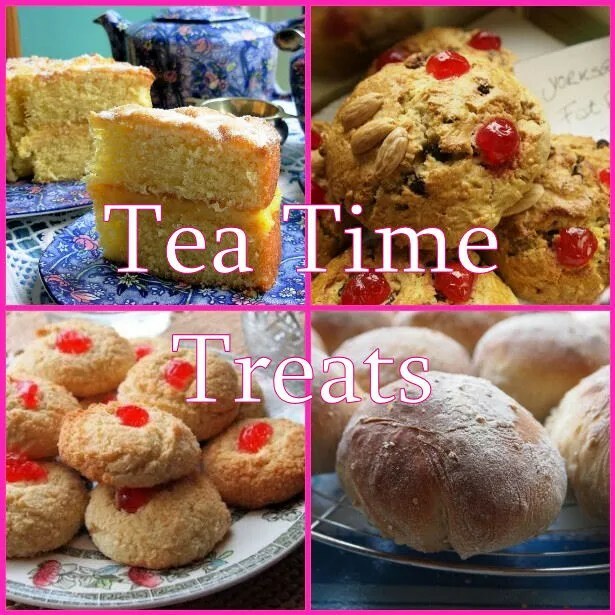 Running a charity Bake Club twice a year, starting next month. 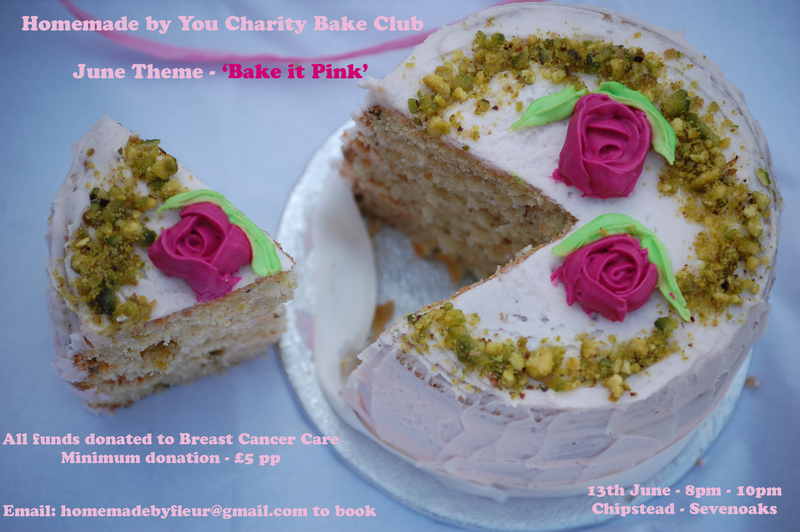 On the 13th June the theme is ‘bake it pink‘ and all entrance fees will be going to a Breast Cancer Care. My very good friend Anna will be coming along to support the evening. Anna found out late 2010 that she had breast cancer and endured an incredibly hard year battling the disease. Her strength and courage has been an ongoing inspiration to me and I tell her on a regular basis that I think she is amazing. She has even signed up to do the London Marathon next year! There will be some time allocated to allow Anna to share her experience and talk about breast cancer awareness on the night. Organising a number of talks/presentations for the next few Bake Clubs, as I really think there is room for everyone to learn more from each other and from any special guests that I might get in. I’m not talking anything that will take away too much time, just 20 mins focusing on a particular baking related subject. For example at either the July or August Bake Club one guest has already offered to share her macaroon tips. Investigating avenues to donate any left over cake to a local old people’s home if guests do not wish to take all the cake home with them. 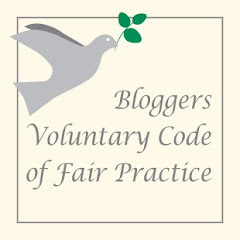 Finally, the great thing about my white chocolate and elderflower victoria sponge cake is that I can also enter it into two blog challenges this month. Tea Time Treats hosted by Karen from Lavender and Lovage and Kate from What Kate Baked has gone all floral this month so the elderflower in my cake certainly counts there. 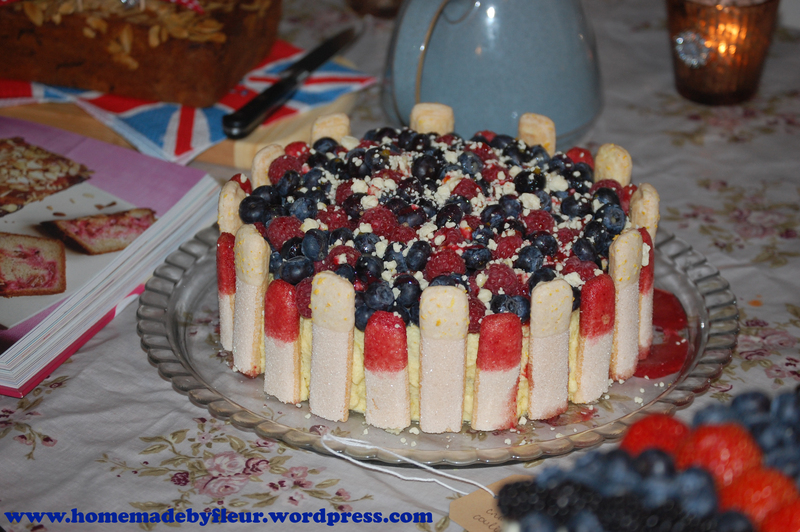 Also, the Forever Nigella blog challenge created by Maison Cupcake and hosted this month by Nelly’s Cupcakes has a Jubilee theme. So thank you to Nigella for the fantastic and extremely easy sponge recipe which made a fab base to my cake and qualified me to enter Forever Nigella this month. 05/05/2012. Tags: Bake Club, Breast Cancer Care, Charity Bake Club, chocolate fudge cake, crown cake, forever nigella, Homemade by Fleur Jubliee baking competition, Jubilee cakes, rhurbarb and almond loaf cake, tea time treats, white chocolate and elderflower victoria sponge cake. 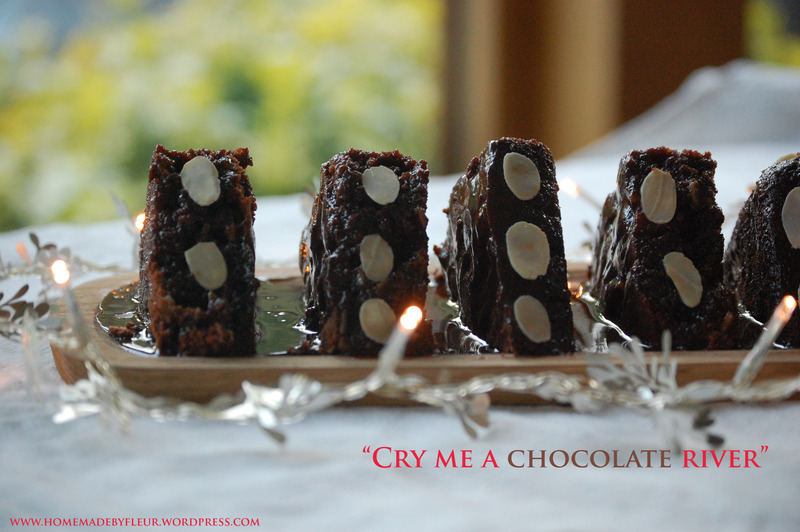 Bake Club, Cakes, Sweet Baking, Uncategorized. 11 comments.